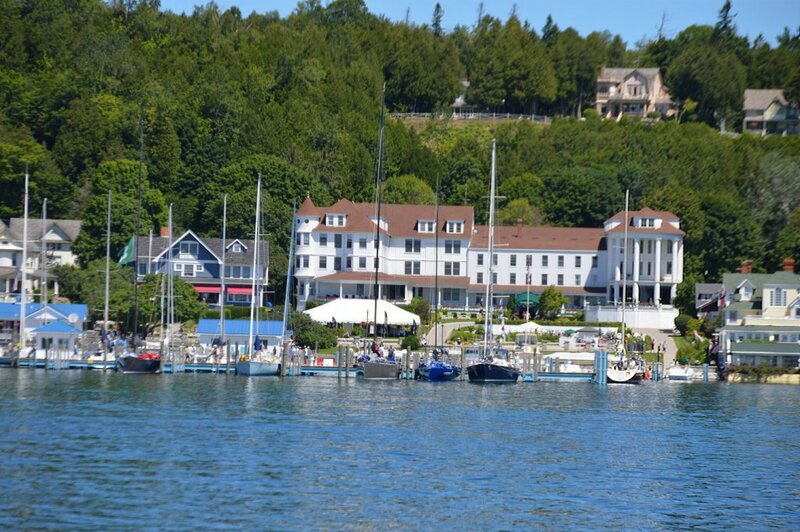 It is yacht race season on Mackinac Island! If you have ever been to the Island during the two weeks that comprise our sailing season, you know that the streets are hopping and the Pink Pony is packed to the railing. Every year thousands of racers start the trek north from Chicago or Port Huron to compete in either the Chicago Yacht Club Race to Mackinac or the Bell’s Beer Bayview Mackinac Race. The races are on consecutive weekends, and they alternate who gets to go first every year. This year, the Chicago race came first. As the 109th annual race, it holds the record for being the longest running annual fresh water race in the world. Around 300 Racers lined up this past Saturday near Chicago’s Navy Pier to begin the Racing Division’s course. 97 of those teams would be forced to drop out of the race due to weather conditions, which plagued this year’s race. The boats battled a storm the first night of the race. One team capsized and was rescued by the Coast Guard. The following days offered very little wind. This caused a late finish to the race. The race typically ends on Monday, but this year, the last boat crossed the finish line in the Round Island Passage at noon on Tuesday. We took pictures on Monday morning, and the marina which is usually packed, was pretty bare, as you can see below. Even with the slower race, some of our guests were treated to a unique view of the sailboats as they were making their way up the Lake Michigan coastline. Every year we conduct a Westbound Lighthouse Cruise on Monday of this race so we can see the colorful sails in the background of the lighthouses. This year, there were less boats than usual, but still a great sight to see. Keep in mind that we will have this cruise for next year and plan to take a trip that will give you a little more than a normal Lighthouse Cruise. The Bayview race starts in Port Huron this Saturday, July 22nd. The course takes the sailors all the way up Lake Huron, finishing at Windermere Point on the Island. As of today, 229 teams will start the race between 11:30 a.m. and 1:40 p.m., depending on the class and course. For 93 years, the Bayview Yacht Club has been putting on this race and there is quite a bit of crossover of the teams from the Chicago race. We are hoping for better weather than the Chicago sailors faced, and if all goes well, Monday we will see the end of the line of boats coming in. If you are interested in watching from the lake, we have an Extended Eastbound Lighthouse Cruise from 2:00 pm to 6:00pm on Monday, July 26th. You can order tickets here. A unique event in the race is the participation of Set Sail for Autism. This is a non-profit organization founded in 2013 to bring awareness to the capabilities of adults on the Autism Spectrum. Each year, the organization places individuals on the spectrum with sailing teams. They help bring the boats back to Port Huron after the race. Their purpose is to show the community that these individuals are capable of many things, and it gives the participants confidence in their skills. As a sponsor of this race, Shepler’s supports these efforts and we are so proud to be a small part of what they are doing to make a difference in the lives of so many. If you would like to see what you can do to help this great organization, check out their website. 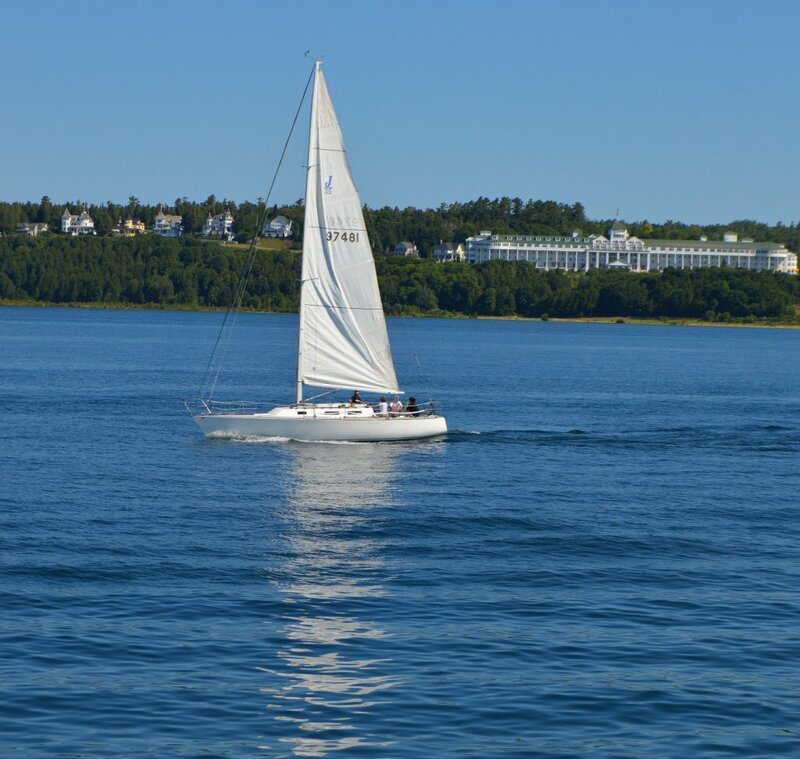 Everyone at Shepler’s Mackinac Island Ferry wishes all the racers smooth sailing this weekend. We hope to see you soon!